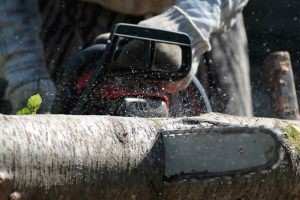 Using an electric chainsaw provides users a list of advantages over those oil and gas-powered ones. One excellent benefit of the electric model is the fact that minimizes the dangers of kickbacks—a frequent complaint among chainsaw users, and a significantly deadly one. It happens whenever the saw of the bar jolts back towards the user after the end of the bar knocks on a barrier. 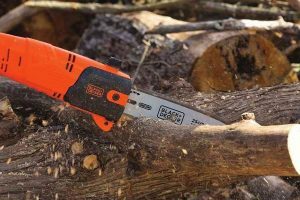 This review will focus solely on the Black & Decker LCS1240 Lithium Ion model and in case you want more information about the unit, do read the rest of the article and find out whether it provides excellent service. 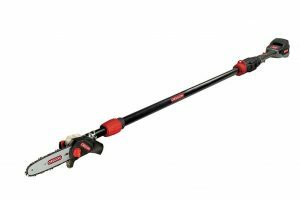 The LCS1240 from Black & Decker is designed to take on small to medium tasks like regular pruning and trimming procedures. 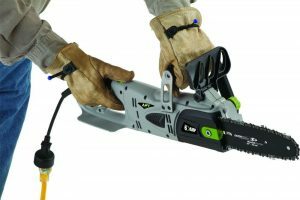 It has a 40V battery which provides extended operating times without the need for a recharge. The item weights at 10.5 pounds, which makes it a user-friendly tool. Due to compact structure, it can be controlled and managed by users easily at any rate. Because it is light, users won’t experience as much fatigue so this model is ideal for individuals of any size and strengths. Its compact design also allows for easier maneuverability, especially in areas among trees that are hard to reach. 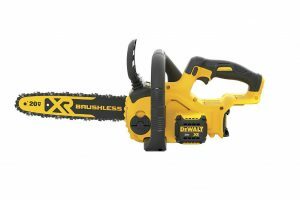 The unit is cordless so it gets rid of the need to mess around with a power cable or gas, and as soon as the battery is charged fully, you can start with your trimming or pruning projects. 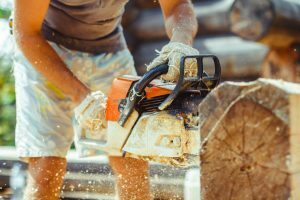 Lubricating or oiling a chainsaw is a required process to guarantee that the unit stays in good shape and keeps doing its job perfectly. 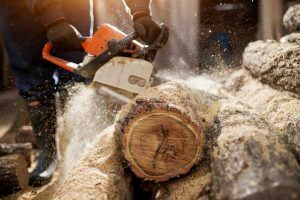 Manual oiling can be a messy business though and it can be a hassle since it takes some of the user’s time. 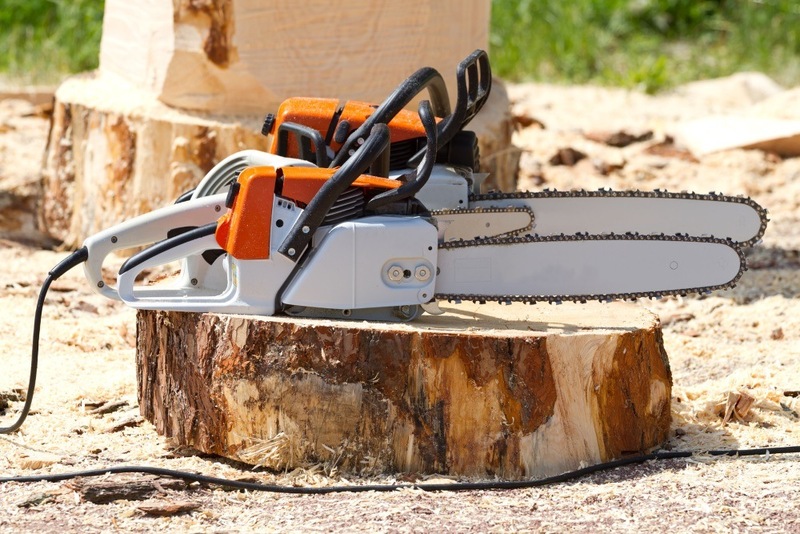 Hence the LCS1240 includes an automatic oiling feature and therefore does everything on its own. The oiling proves is accomplished at interims, guaranteeing that all of the unit’s moving components stay oiled for the cutting tasks. It also features a viewing window wherein one can check the level of oil so users can refill it if needed. 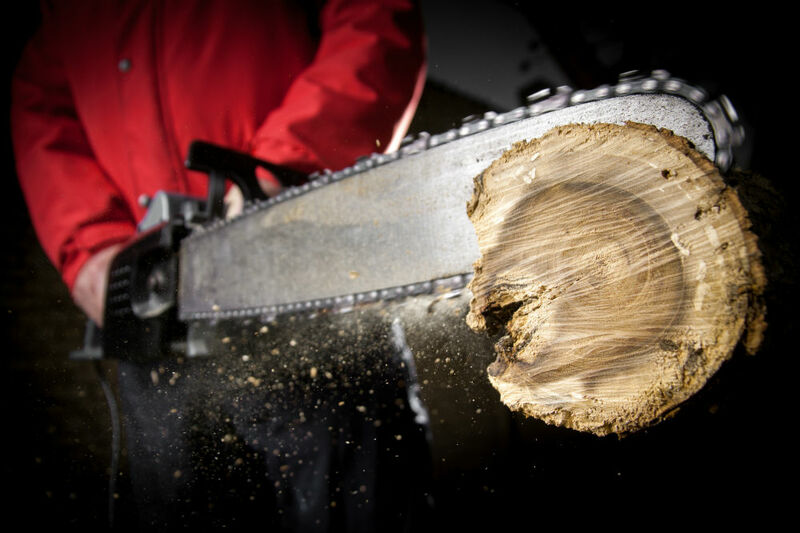 Safe chainsaw use should be of utmost priority. The LCS1240 was provided with the company’s safety features in the design. 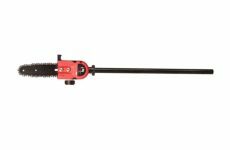 It has a wrap-around rubber covered rear handle which not only provides comfort but it also shields the user’s hands and fingers out of harm’s reach. The front guard delivers protection in case the unit clutches or binds. The 12-inch low kickback bar covers problems related to kickbacks decently. The chain spins bit by bit, which can be a setback to some. However, it provides a bit more safety since it reduces friction and heating. This will help put off burns in case the user accidentally gets into contact with it. So the slower chain is a plus for us. 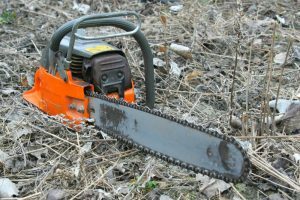 It is not powerful enough to chop up big trees and is only meant for small work and regular tasks. There were also complaints about the slow spinning of the chain, but as explained earlier, it works that way for safety measures. 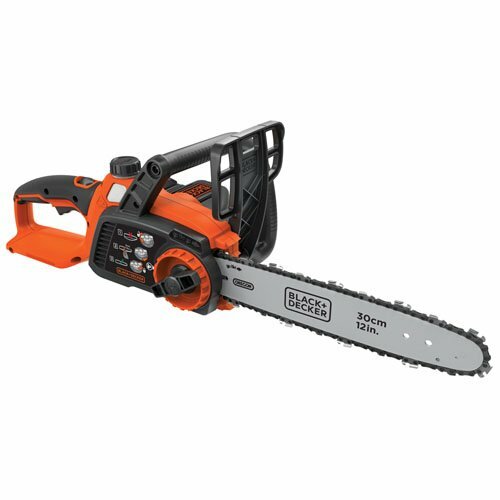 The Black & Decker LCS1240 Lithium Ion chainsaw handles its job like a boss and is a safe lithium ion model to use. It is user-friendly with safety features and its automatic oiling system is a convenient way to keep the unit in tip-top shape at all times. If you do not mind a slower spinning chain, this is the model for you.